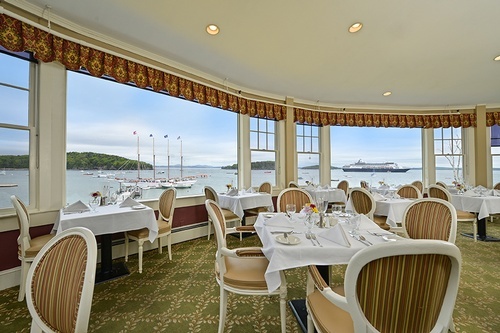 Distinguished fine dining overlooking Frenchman Bay in downtown Bar Harbor awaits you at the historic Reading Room Restaurant. Join a long list of guests from around the world, important characters of US history, and dignitaries who have enjoyed meals, drinks, and memorable gatherings at the Bar Harbor Inn Reading Room since 1887. Serving breakfast and dinner daily and Sunday Brunch the first Sunday of each month, the Reading Room is a one of a kind dining experience. 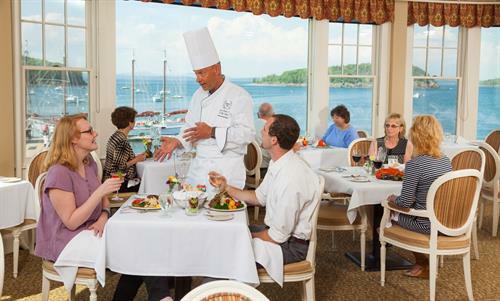 Delectable local Maine cuisine and attentive service are surpassed only by the magnificent panoramic ocean views of Frenchman Bay. Hearty breakfast favorites include Wild Maine Blueberry Stuffed French Toast and Maine Lobster Eggs Benedict. 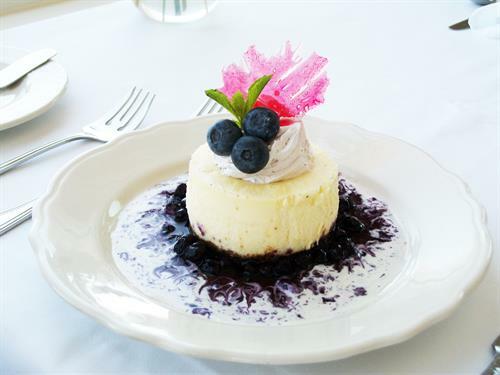 Our dinner menu features fresh Maine seafood dishes, choice cuts of meat, gourmet desserts and an extensive wine list. When dining at any of our restaurants, you will be introduced to Chef Louis Kiefer’s culinary delights, including many unique and locally inspired dishes, using the freshest ingredients. Chef Kiefer has been impressing our guests with his scrumptious seafood dishes since 1998 – many keep coming back year after year to experience the true taste of Downeast Maine cuisine. During the summer season the Reading Room at the Bar Harbor Inn offers nightly entertainment featuring a grand piano player. Business casual attire preferred, but not required. Reservations are recommended.